The IPSXMPT30 is an innovative integrated positioning system that meets stringent explosionproof requirements. 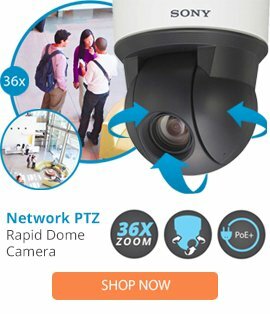 The IPSXMPT30 not only combines a receiver, pan/tilt, and enclosure in a single easy-to install system, but it also includes an Integrated Optics Package (IOP) with motion detection. The Integrated Optics Package contains an autofocus camera and lens module with programmable features, and offers an upright or inverted operation application. Suitable for a wide range of applications, it features a choice of two different IOP cameras: a high-resolution camera with LowLight color technology and 22X zoom lens (22X optical, 12X digital), and a high-resolution day/night camera with a removable infrared cut filter and 23X zoom lens (23X optical, 12X digital). Electropolished 316L stainless steel construction makes the IPSXMPT30 ideal for all kinds of environmental conditions including marine applications. With a 360° continuous pan rotation and a tilt range of ±90° it is a complete solution. A built-in heater, window defroster/defogger, sun shroud, and blower are standard features on the ExSite. It also includes three auxiliary output relays that can be programmed for a variety of uses. It features a built-in system memory in the power module to store camera and location-specific pan/tilt settings, including labels, presets, patterns and zones.